We encourage people to pursue preparedness with others, but in an effort to get more people prepared, we created the Self Guided Preparedness Study. 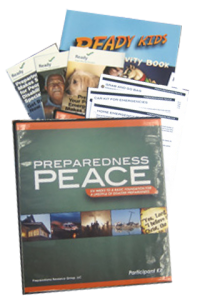 Preparedness Peace is a six session, basic home and family disaster preparedness course designed to build a foundation for a lifestyle of preparedness. 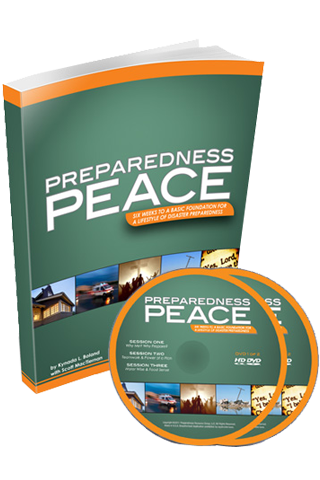 In six action-packed lessons, you’ll learn how to ready your home and family for most types of disasters. 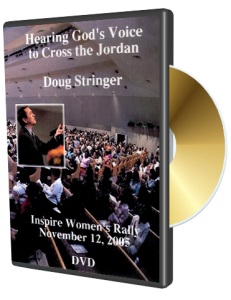 This information will change your life. 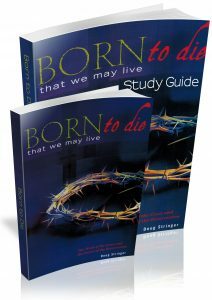 • Weekly Devotionals – Four days of Scripture and reflection questions and one day prayer focus (determined by facilitator).